It was a big privilege. The thing about the para-Olympics was the “How the technical community can help disabled people”. That was the philosophy behind introducing a motorbike into the presentation. Because the presentation started as a process and showed the time from the moment of the accident when people had the accident giving them the injury. They often then go into the darkness where everything is bad and a big change. After a while they accept the situation and start to look at the positive things. The presentation was from darkness till grey and then it started to be white and the bike was white you see as symbol of the disabled person’s changing life and the technology helping them. 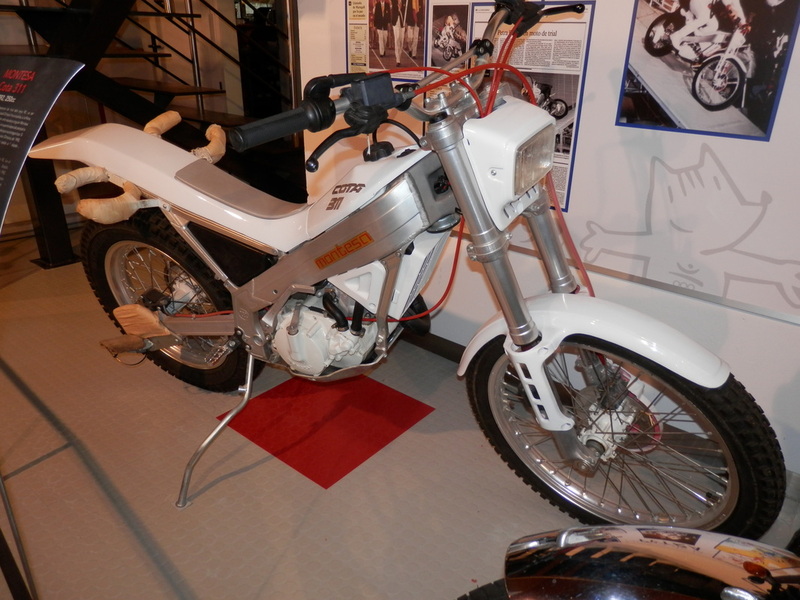 The motorbike was something to show the mechanic, the technic, the new technology can assist the handicapped person. That’s why there was the idea to come up to the watch of the Olympic stadium to take the mascot. The mascot of the para-Olympic games was a person whilst the mascot of the actual Olympic Games was almost the same but not a person inside. It was just a balloon, ok? 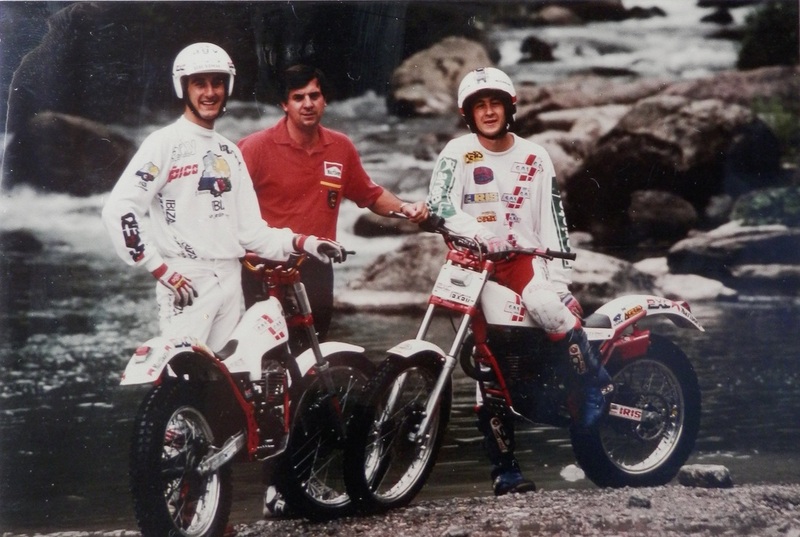 The first idea of the organisers was to contact Jordi Tarres and Jordi Tarres was so busy at this time winning the Championship. This is something that they never discussed with me but you can ask him I think that he saw too much work in this because there was so much time. 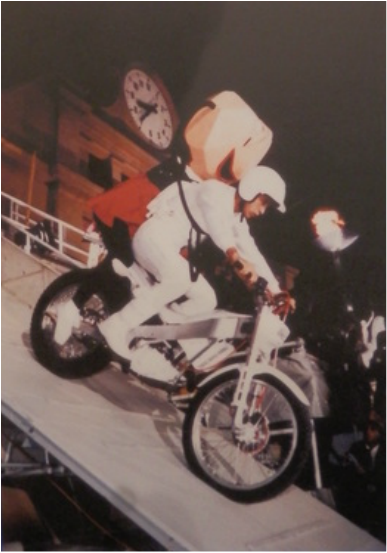 I spend so much time training the man inside the mascot how to go with my bike. I needed to show him that it was safe and that also it wasn’t something that was easy. So I there was a lot of preparation and I think that Jordi see that that there was a lot of work and he had no time to do this. That’s my perception. Then they contact The Spanish Federation and the Federation say that we have Gabino who is about to retire. He has some time and is a person who has a lot of passion. So they tell the organisers and I meet the people and I decide to do this. I am very proud that they contact me. I was very interested to do this. But we spend much time and effort fixing the bike. Did you work with Pere Pi at all? No, when I go Montesa Pere Pi has left. When you look back at your career, what are you most proud of? 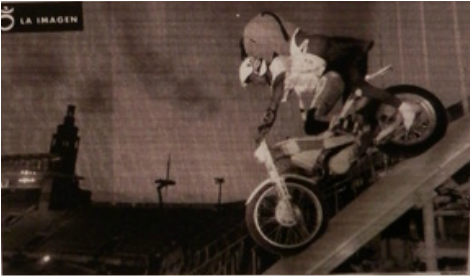 Obviously the 2 years with Gasgas because I have proven myself that I can reach this good level as a trial rider. Because up until this time I had always problems to reach 100% of performance. At this time I was 100%. 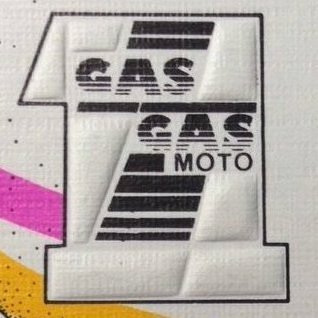 Probably the Beta was a better bike than the Gasgas but generally the Gasgas was a great bike. Who would you offer most thanks to for your riding career? 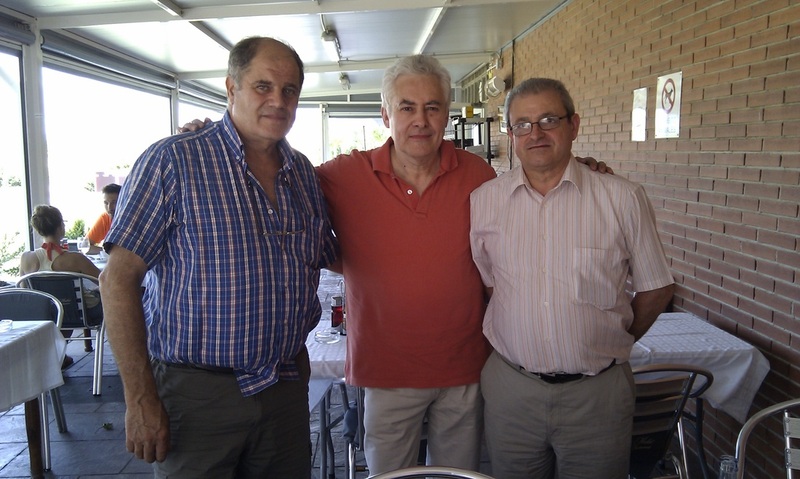 The 3 Mecatecno men photographed first in 1978 and then in 2013. 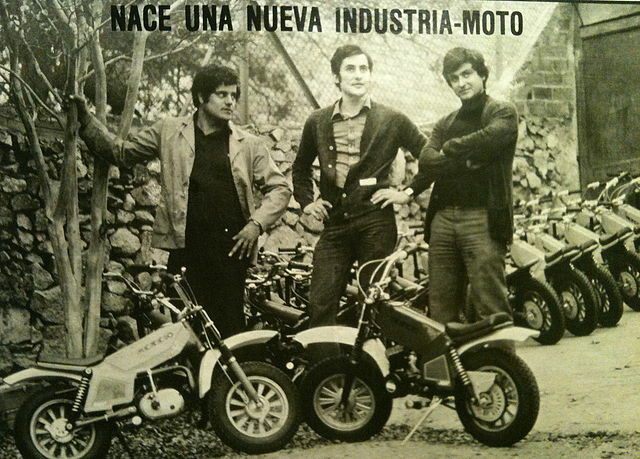 From left to right - Joan Ruiz who was the main mechanic at Mecatecno and worked before as race mechanic for Angel Nieto at Derbi and later as R and D manager for GasGas. Mecatecno owner Jordi Rabassa who was before hand the competition manager for Derbi. 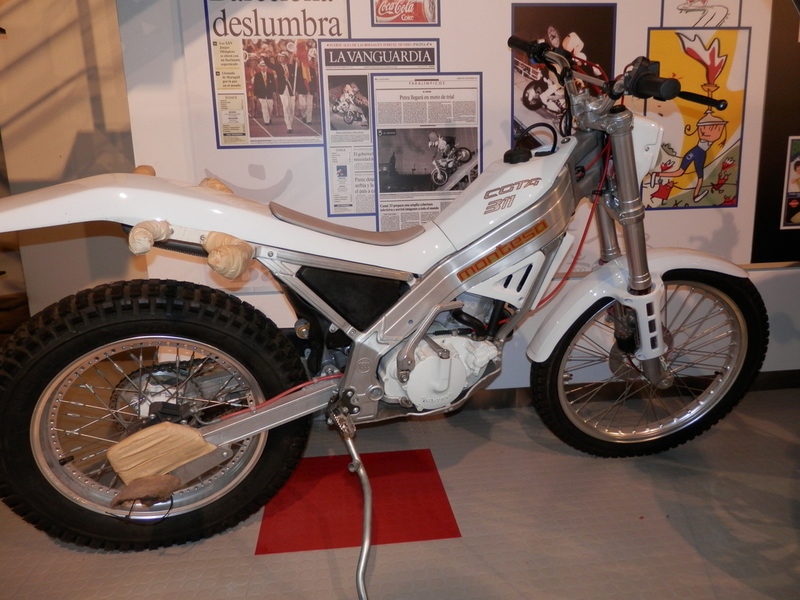 Mecatecno's designer Ramon Mira who worked before hand for Derbi.